Do You Want To Learn How To Paint? Do you have an interest in oil painting? Have you always wanted to learn how to get better at painting? Do you want to know the best techniques to making stunning paintings? When you download Oil Painting: Masterful Techniques to Oil Painting, Portrait Painting and Landscape Painting, your painting skills will start to improve rapidly! 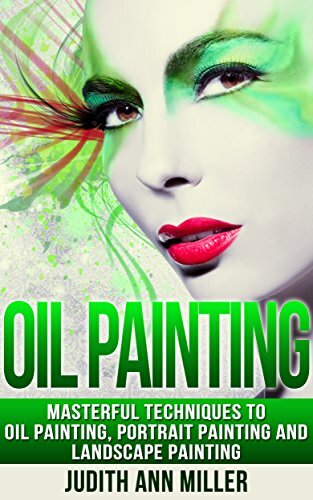 You will discover everything you need to know about oil painting. Publisher’s Note: This expanded 2nd edition of Oil Painting has FRESH NEW CONTENT to make oil painting even easier than before! These fun and easy tips will transform your paintings into masterpieces. You’ll be proud to show off your artwork and skills whenever friends, family and customers see it. This book breaks training down into easy-to-understand modules. It starts from the very beginning of oil painting, so you can get great results – even as a beginner! Youâ€™ll be happy you did!